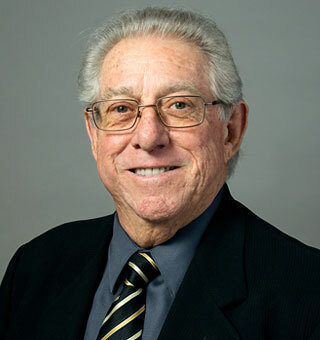 Marvin T. Keeling is a member of the AHRF Board with a successful history of building businesses in the medical, telecommunications, software technology, and finance industries. In 1977, Keeling founded Prime Capital Corp., which provided more than $4 billion in financing to hospitals for medical equipment. For more than 50 years, Keeling has been active in community development and management. And he has been an initiator of capital and idea development through philanthropic activities and foundations. Currently, Keeling is Chairman and Chief Executive Officer of the Keeling Family Foundation, a 32-year-old 501(c)(3) nonprofit that has supported many charities through a variety of fundraising activities—including VetTech.US, a program dedicated to training and preparing veterans for the IT career field while collecting and recycling/re-purposing electronic waste. The Keeling Family Foundation also runs the Veteran Employment Today (VET) program, which serves the Chicagoland area’s homeless, unemployed, and underemployed veteran population. Keeling also served on the Board of the St. James Hospital.